The new TowerRAID 6G series implement latest 6G eSATA port multiplier chipset, and bundled with high bandwidth PCIe 2.0 x4 6G RAID controller. 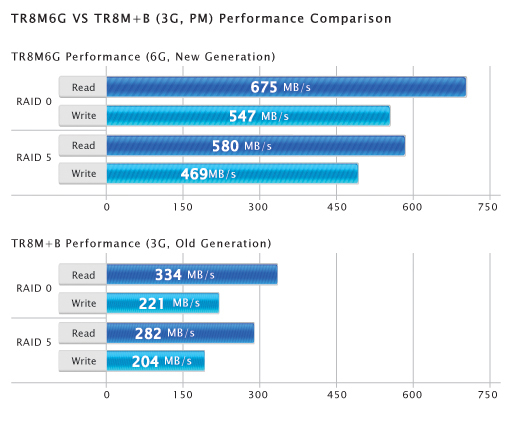 This combination of 6G solution increase the total bandwidth and result in higher performance, more suitable to use with current 6G hard drives. 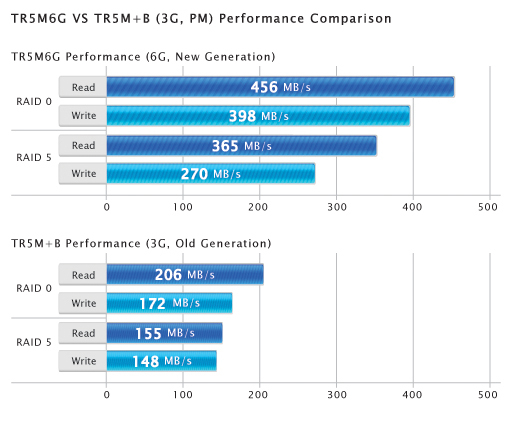 The overall performance increase by using 6G and PCIe 2.0 x4 bandwidth, out perform any 3G eSATA port multiplier product in the market. 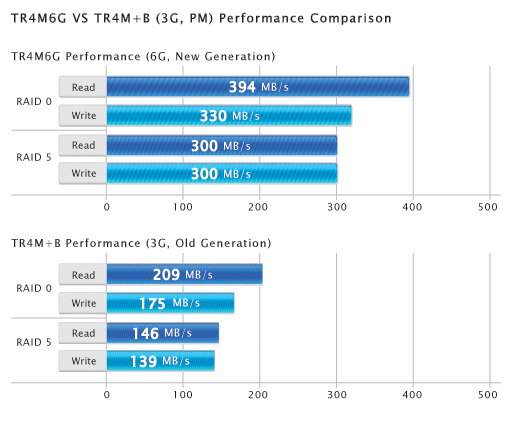 RAID 0 and RAID 5 significant increase, more than double with older generation of 3G product. 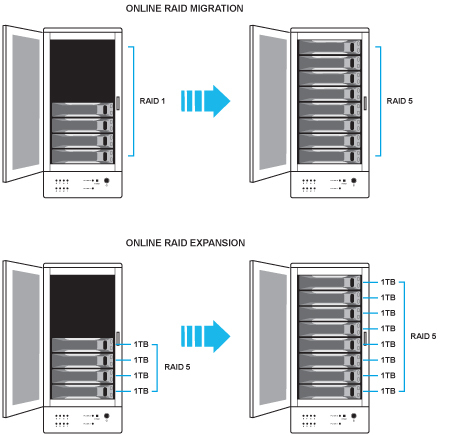 ​Utilizing dedicated high performance processor and advanced RAID design, TowerRAID Plus Series is capable of real-time RAID mode alteration, and hard drive capacity expansion without the need to erase existing data minimizing down time. This is also no need to move existing data to a temporary location. All changes are performed in the background without interrupting data availability. 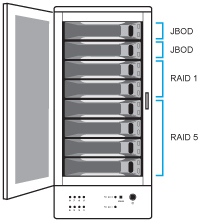 TowerRAID Plus series supports multiple RAID volume, where different RAID modes could be setup within a single unit, allowing flexibility for various environments and applications. A multi-bay tower could be divided into smaller volumes that could be operated and administrated individually. Built-in Web based GUI management tools provide all the necessary tools to create, manage and monitor your system. Real-time hard drives and RAID status, event log and e-mail notification of the RAID system can be setup in one easy to use interface.